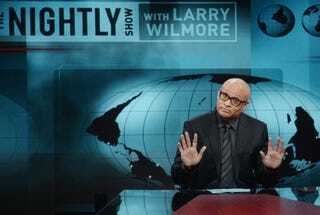 The Nightly Show With Larry Wilmore has been canceled by Comedy Central after a year and a half on the air. According to Deadline, the final show will air Thursday. Comedy Central President Kent Alterman praised Wilmore for his contributions to the network and show. It's interesting that the network would actually cancel the show right at the crux of election season, but Alterman said it had to do with contract renewals.